Think you need hundreds of thousands of dollars in venture capital to get your business off the ground? You’d be mistaken! Sure, there are some industries where it may take that much –say, if you’re manufacturing cars –or if you require office space in downtown San Francisco. But for many companies, the truth is that you can get started with very little money up front. 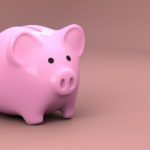 According to one study from Wells Fargo, conducted by the Gallup Organization, 73 percent of new businesses were launched with no outside funding of any kind –with the average business start-up using less than $10,000 of launch capital. I know this was the case for my business. Ten years ago, I started my online cabinet store with $5000 and a really crappy website. I spent several hours a week creating content to distribute all around the web. Soon though, organic traffic started pouring in. The initial investment was low, but over the course of ten years it grew into a 40 million dollar company. While it’s true that even 25 years ago, it would have required a significant amount of capital to start a new business, technology has leveled the playing field, and today –it’s a lot more affordable to start your own company. This is especially the case for web-based companies –which can often be started for much less than their brick and mortar counterparts. If you’ve been letting lack of funding hold you back, you shouldn’t! There’s a lot that you can do to start your company –and grow it from the ground up. Here are some tips for bootstrapping –and scaling your business, minimal cash –or no cash required. While you could spend thousands of dollars on a state-of-the-art website, the truth is that in the beginning, you likely don’t need something with all of the extra bells and whistles. There are plenty of good platforms out there that will let you get started for free –aside from the domain, and sometimes hosting. Consider Wix, Website Builder, and Moonfruit. Website builders have come a long way in recent years, and today, it’s relatively easy to make a professional website –no coding required! Once you’re more established and have the cash flow, you can invest in a better website. 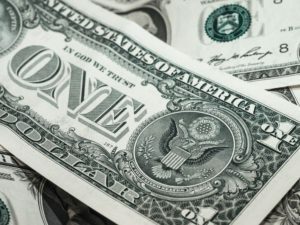 When you get that first order, it’s tempting to feel that all of that money is pure profit; but don’t forget to account for the cost of goods sold (COGS)! In addition to tracking your sales, keeping a record of your cost of goods sold is vitally important. This will allow you to determine the exact profit that you made, and continually assess the viability of your business model. Before you start, make sure you have a good hard look at the numbers. One key metric that’s vital, yet often-overlooked, is your customer acquisition costs (CAC). Before you start, make sure there’s enough margin to acquire customers. 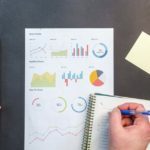 Generally speaking, you can calculate your CAC by dividing the costs spent on acquiring new customers –or, your marketing and advertising expenses, by the number of new customers during that period. It’s much easier to sell when you already have an audience. 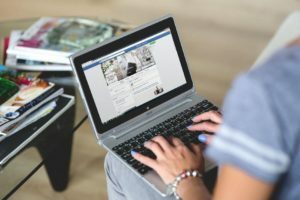 Consider building your social media accounts ahead of time –around the hobby or even the problem that your product solves. That way, when you’re ready to launch, you’ll have an audience ready and waiting. If you’re thinking of launching a new product –crowdfunding is a viable solution. Sharing your idea on Kickstarter or Indiegogo will allow you to gauge interest in your idea, and if there’s enough buzz, it’ll give you the funds that you need to bring it to market. If you’re launching a new product, consider pre-selling. Pre-selling allows you to use the budget that you have, and put it towards advertising. It’s also a great way to test the validity of the product, and gauge interest. 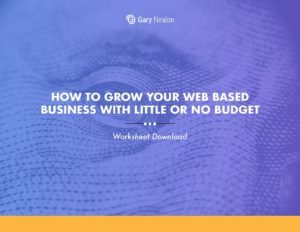 Get our How to Grow Your Web-Based Business With Little or No Budget Worksheet delivered right to your inbox. Operating a web-based business is cost-effective, especially when you consider that there’s no need to pay for full-time staff, or office space. Thanks to the rise in remote workers, you can easily assemble a team who can work virtually; enlisting them on an as-needed basis as contract workers. Not all business models can be bootstrapped. 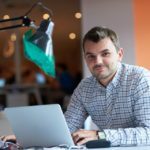 Generally speaking, in order to successfully bootstrap, you’ll need a plan to generate cash flow as quickly as possible. By running on your reserves alone, you risk of burning through them before you’ve had a chance to get off the ground. Before you launch, you’ll want to ensure that you have a clear understanding of your audience –the type of people who will be interested in, and willing to pay for the product you’re offering. Once you know who your audience is, you’ll know how to reach them, and where to find them. When it comes to scaling your company with limited funds, you’re going to want to ensure that you have a plan for outgoings, and watch them extremely carefully. Also –avoid spending out of a personal bank account. Instead, separate business and personal accounts so you can more accurately track and manage your income and expenses. While my cabinet store was in the early stages, I opted to not take a salary. Instead, I waited until the business was producing enough revenue to replace my current earnings, while remaining cash positive. Until then, I continued to reinvest the rest of the profits back into the business; something that allowed me to scale the company at a much faster rate. In the early days, you almost certainly won’t be able to pay yourself a salary –at least not for the first few months, or even a year. Make sure you have a plan for personal expenses –to keep your costs down. Carefully consider each purchase and only spend what’s necessary. You’ll want to pay especially close attention to your fixed expenses, or, ongoing costs –and try to keep them low. This includes things like rent, car payments –and other monthly expenses. Consider using a free tool like Mint to help you budget and track your spending. Social media is an essential form of marketing today –and if you do it yourself, it’s free. Just make sure you begin with clear objectives and a good understanding of what works –and what doesn’t when it comes to social media. Before you start, construct a plan for each platform that you’re going to use, and make sure you know a good idea about which approach to take with each one. Take care to avoid spreading yourself too thin. Don’t feel like you have to be on every social media platform. Instead, focus your efforts where your audience is –and then work to grow your fan base by following others and interacting with them. Do you have a plan for PR? You’ll want to get one; especially if you plan to grow your company without investing any major advertising dollars. Work up a pitch or a press release and send it off to reporters who you think may be interested. In order to get your company much-needed publicity, think about which publications you could interest in your story. One idea is to reach out to local journalists, who may be open to human interest pieces, or stories about companies that are benefitting the local community. Then create an intriguing hook to make your story irresistible. Don’t forget about forums. When Airbnb first started, they leveraged Craigslist listings to generate targeted local prospects. Places where you could find people who are discussing problems –issues that your product might solve include: Subreddits, Facebook Groups, Quora, Twitter, and niche forums. Ask yourself who already has traffic –and conversations that you can tap into. Then go there and be a part of the conversation. Just remember to keep the conversations helpful and genuine. Email is one channel that consistently offers the best ROI –but this is only true if it’s done right. To gather as many subscribers as possible, consider having a pop-up signup form on your website that asks your visitors to input their name and email address. You may also want to consider sending out a monthly newsletter to fill people in on what’s happening at your company –and let them know about new products or services. MailChimp makes this easy to do. You can promote this newsletter on social media. Remember to reassure them by informing them that they won’t receive any spam or emails from 3rd parties. Your website is your storefront, so make sure it’s able to draw the crowds! Ensure that yours ranks highly for certain keywords and phrases by practicing good SEO, and making sure your website –including metadata, titles, headers, and more are all optimized for search engines. You’ll also want to keep user experience in mind as well. Creating a website that’s easy to navigate is a key factor in reducing your bounce rate. Fast load times are important too. Finally, make sure your site is optimized for mobile as well. With an increasingly high percentage of visitors using smartphones, you’ll want to include features like one-click shopping –to convert the mobile crowd. Excellent content on your website and blog can be a tremendously valuable way to draw in new customers. It can also help to add credibility to your website, influence purchasing decisions, improve your SEO, and more. Create engaging blog articles, produce case studies, and make exciting or helpful videos; it’s a great way to draw in the crowds. Many people are hesitant to take up public speaking –but it can be a great way to promote your business, and position yourself as an expert in your field. You don’t have to be a professional speaker; you just need to have helpful information that’s of interest to your audience. Consider seeking out some Instagram or blogging influencers that have an audience that’s similar to yours, and see if they’d be interested in promoting your product! 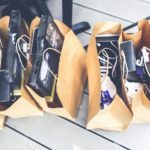 Most influencers will be looking for payment, but some may be happy to keep a sample or two of your product in exchange for plugging you on their channel or blog. Influencer marketing can be a good way to grow your brand presence and lend credibility to your product. In fact, 81% of marketers who have used influencer marketing have found it to be effective. Offering coupons is another great way to attract potential customers who may be on the fence. Research indicates that people will go out of their way to use a coupon, and it could be a good way to expand your customer base. As entrepreneurs, it’s easy to feel like we’re lone wolf, always operating solo. 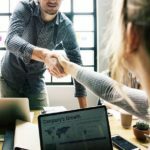 But the fact is, we’re all in this together, and forging connections can prove to be invaluable in terms of new prospects, helpful advice, feedback, and more. Your network is your closest allies –so be sure to get out there and start making connections. Get involved with community events, and find worthwhile professional events to attend as well. Perfect your elevator pitch, and be ready to spread the word about your company. Don’t forget to stay in touch by adding and interacting with your connections on LinkedIn. Split testing is a great way to help your company grow –and it doesn’t require a significant investment either! Tools like Optimizely can help you to test changes that you make –to see what’s working and what isn’t. In order to run successful tests, avoid overwhelming the results with lots of variables. Instead, keep the tests simple and check one or two variables at a time. Be sure to test things that you think are insignificant. You might be surprised. 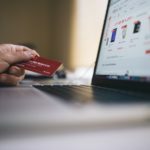 Often, it’s the small, seemingly unimportant changes –like the size of a button, or the addition of a security badge on your cart, that can have the biggest impact on your conversion rates. Finally, don’t hesitate to ask some of your satisfied customers for reviews. Many people are willing to provide reviews if asked, but few will take the initiative to do it on their own. Since word-of-mouth recommendations carry more weight than paid advertisements, this form of promotion could help to lend more credibility to your brand. 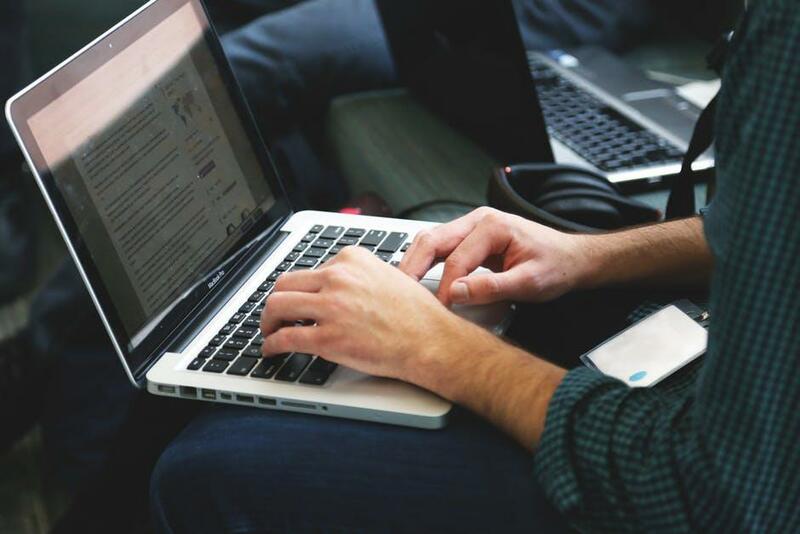 While it’s true that some companies require outside funding at some point, many web-based companies find that bootstrapping is the way to go. Not only will operating on limited funds allow you to grow your company with less risk, but it also allows you to test the market, so to speak, and grow your company on a scale that’s in-line with customer demand. Finally, perhaps one of the best benefits of bootstrapping is one of the least expected –when you bootstrap, you have no choice but to think lean, competitively, and smart. You have to get good fast. Having no choice but to grow this way will force you to look at your company in a new way, opening your mind to exciting opportunities and potential solutions that you may not have thought of otherwise. Are you scaling your online business with a limited budget? Share your tips with us!